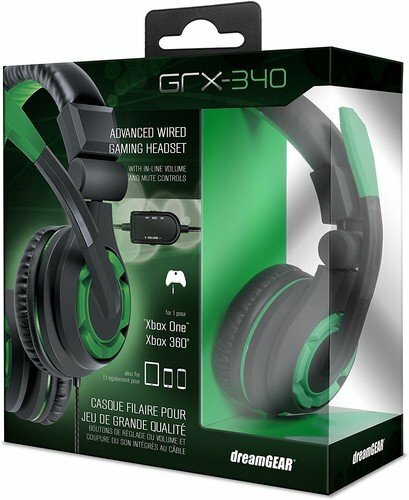 -40 mm oversize drivers for heart pounding Explosive game sounds and Extra Bass Punch. Overstuffed Earpads for fatigue free gaming for a perfect gaming experience. -Features Dual Inline Volume Controls for Separate Chat and Game Sounds. -High performance echo free boom microphone stays where you set it. Advanced circuitry ensures crystal clear chat (or trash talk!). Don't get left behind - Guide your platoon, find the zombies, soar the air! -Padded fully adjustable headband and foldable earcups for travel or easy storage. -Designed for the XBOX One but also works with the PS4 and other systems. View More In PlayStation 4.